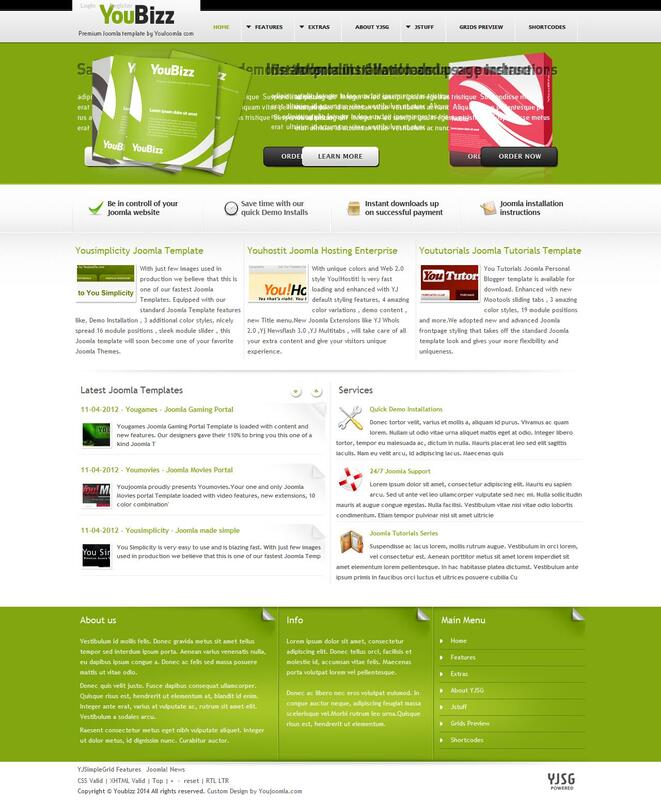 Youbizz is first July 2009 Joomla Template release from Youjoomla Team. With simple layout in mind, our designers have put together this very easy to manage joomla template that is suitable for your next business, web design or software presentation. Youbizz comes with 18 build in modules, nicely spreed trough out the site layout. With 4 color styles, 5 menu types, valid markup, Yj Newsflash 5.0, YJ Pop Login, Multimedia Box and YJ Module Engine this Joomla Template is perfect for your next Joomla Project.